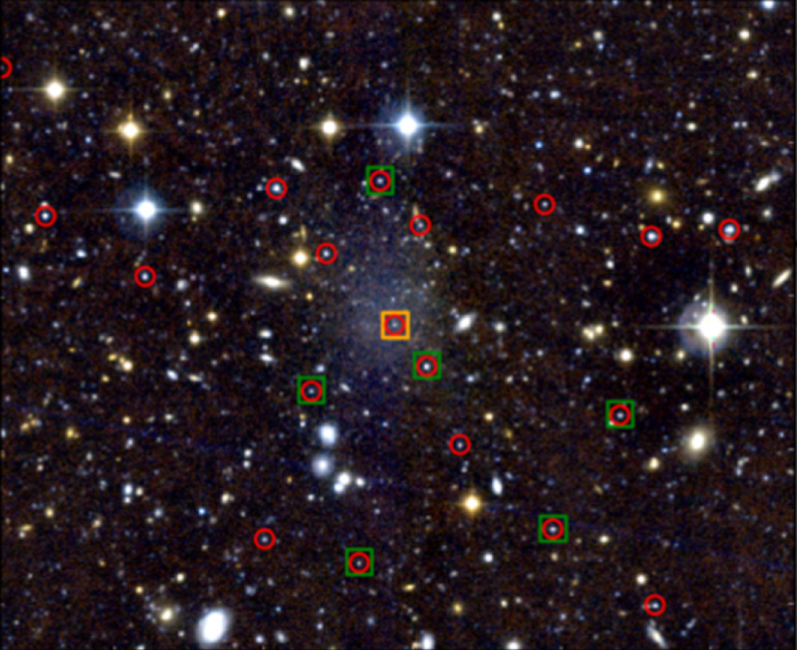 Globular Clusters reveal relic Galaxies! As an outcome of the stochastic processes of galaxy formation, we expect that a small number of massive galaxies will be "relic" galaxies. These are systems which form all their stars early in a burst of star formation and then do not evolve further. In particular, they do not grow through the accretion of satellites. We have shown in a recent Nature letter that the compact galaxy NGC 1277 (left) in the Perseus cluster is a true relic galaxy by observing its globular clusters (two are marked in the image that look like dots, but are really composed of hundreds of thousands of stars). Red, metal-rich clusters are thought to form during the initial galaxy collapse, while blue, metal-poor clusters are understood as an accreted population. We hypothesized that NGC 1277 should have no (or very few) blue globulars ('cos the galaxy hasn't accreted any) which is exactly what we found! We got some press coverage on this one. NASA did a nice press release including a video where we zoom into to the Perseus cluster and the relic galaxy. 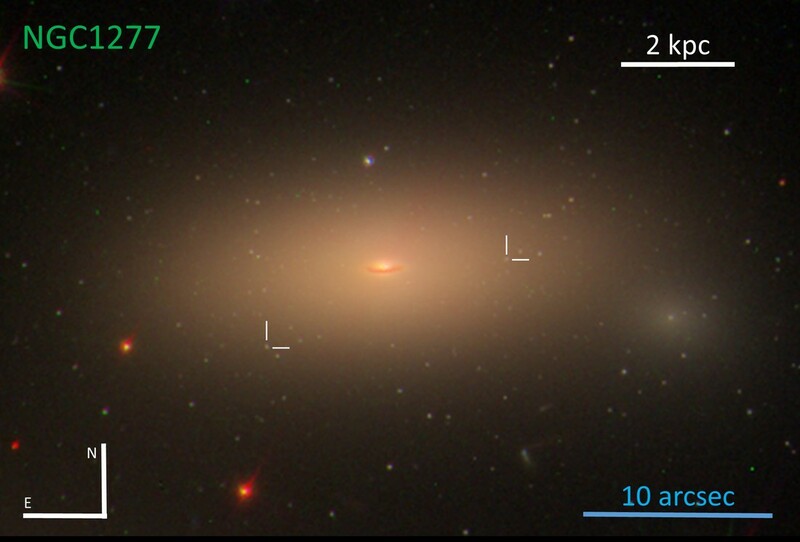 We measured a dynamical mass for an "Ultra DIffuse Galaxy" in the Virgo cluster of galaxies. Since the galaxy itself is extremely faint - too faint for spectroscopic observations - we used the surrounding globular clusters as dynamical probes of the galaxy potential.